In the '20s and '30s, it was not uncommon to see a tennis player go to his bench and drink a shot of gin, rum or whiskey. Times have now changed. 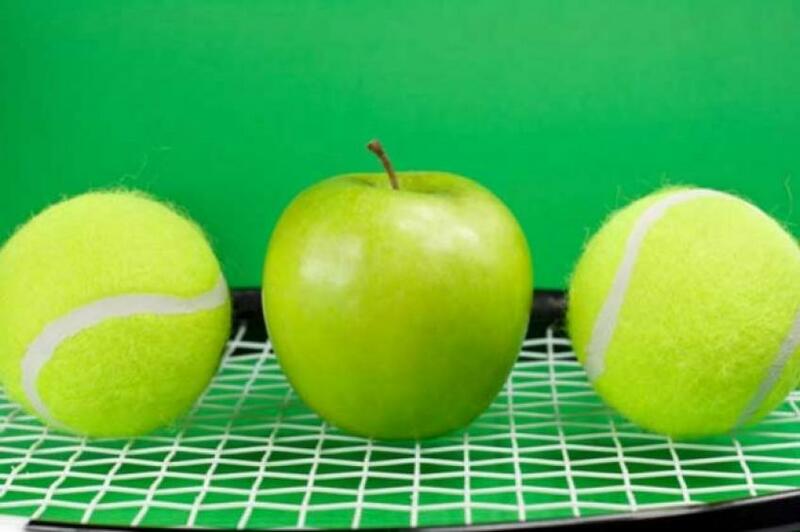 Diet and nutrition are an integral and very important part in the preparation of a tennis player. Technology and research today have led to personalized diets for almost all players. Even among amateurs, it is now a habit to follow a proper diet, in order to take all the necessary elements, in order to help the player give the best of oneself on the court. Key Points. Tennis players should follow a habitually high carbohydrate diet of between 6-10 g·kg(-1) to ensure adequate glycogen stores, with women generally requiring slightly less than men. Protein intake guidelines for tennis players training at a high intensity and duration on a daily basis should be ~1.6 g·kg(-1)·d(-1). Dietary fat intake should not exceed 2 g·kg(-1)·d(-1).Caffeine in doses of 3 mg·kg(-1) can provide ergogenic benefit when taken before and/or during tennis match play.200 mL of fluid containing electrolytes should be consumed every change-over in mild to moderate temperatures of < 27°C but in temperatures greater than 27°C players should aim for ≥ 400 mL.30-60 g·hr(-1) of carbohydrate should be ingested when match play exceeds 2 hours." Obviously, the diet and the assumption of elements is now personalized for each athlete, according to her or his energy needs.